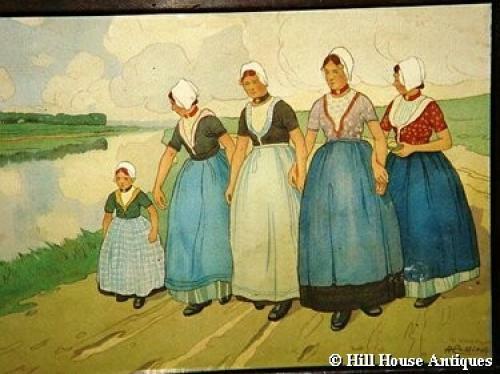 Liberty & Co (label to back) stained wooden framed print of Dutch folk by Henri Cassiers, well known artist and poster designer of the time. Dutch scenes were very popular at the turn of the century and made even more so by Libertys at the time. Circa 1900. The frame has the typical pegs to the corners associated with Liberty & Co.